Gilera - I Say Ding Dong Shop - Buy Stickers, Decals & Unique Automobilia. Gilera Campione Del Mondo Assoluta Red Shaped Sticker. 4". 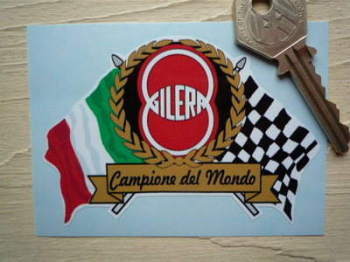 Gilera Flag & Scroll Sticker. 3.75". Gilera Gold & Black Cut Text Shaped Sticker. 3". Gilera Italia Chequered Handed Stickers. 3.5" Pair. 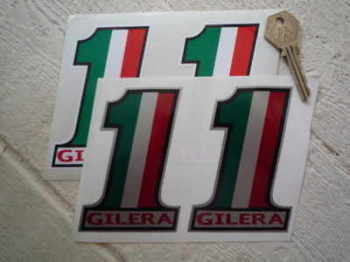 Gilera Italia Tricolore Flag Style Stickers. 2" Pair. 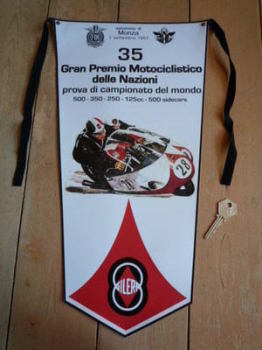 Gilera Monza FIM Banner Pennant. 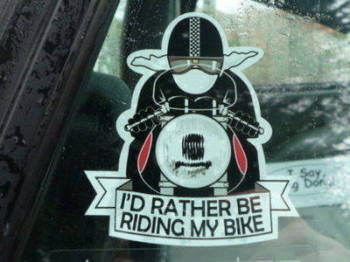 Gilera Multi-Coloured Band Sticker. 8". 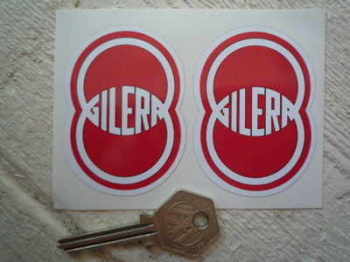 Gilera Racing Duo Shaped Sticker. 3.25". Gilera Rainbow Campione Del Mondo 1950-52-53-54 Sticker. 80mm. Gilera. No.1 Stickers. 4" Pair. Gilera. Red & White Shaped Stickers. 2" Pair. Gilera. Red, Black, & White Shaped Stickers. 2.75" Pair. Gilera. Silver or Gold Round Stickers. 2" Pair.